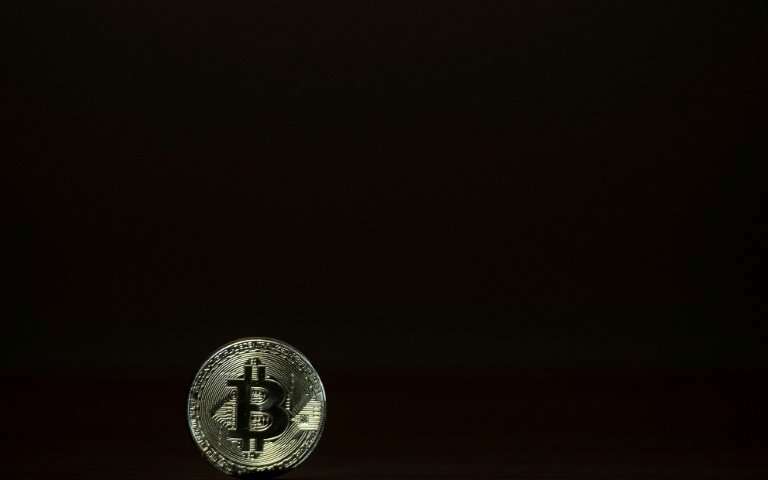 Bitcoin plunged more than 20 percent to fall below $6,000 on Tuesday, its latest sharp loss following a series of setbacks, with a global stock market collapse fuelling the selling. The virtual currency fell to $5,992 for the first time since mid-November, according to Bloomberg News, the latest hammering for the cryptocurrency that saw a stratospheric 26-fold rise last year. Tuesday's collapse comes just six weeks after bitcoin hit a record high of $19,511, fuelled by a flood of speculators looking to make a quick buck. Since those heady days the cryptomarket—which includes dozens of other units—has been pounded by news of crackdowns by governments including in China, Russia and South Korea, one of the biggest markets for the sector. On Thursday, India said it would "take all measures to eliminate" cryptocurrencies' use as part of a payment system and in funding illegitimate activities, while Japanese authorities raided a virtual currency exchange after it lost $530 million to hackers. Central banks in Europe, Japan and the United States have also flagged concerns about the unit. This week several commercial lenders said they would stop allowing their customers to buy bitcoin through their credit cards owing to debt concerns. Stephen Innes, head of trading for Asia Pacific at Oanda, said "the dynamics behind the moves are regulatory clampdowns and investors losing confidence in crypto". The sell-off on Tuesday was exacerbated by crushing losses on world stock markets, with the Dow on Wall Street suffering its biggest one-day points loss and wiping out all its 2018 gains. Panicked investors are fretting over rising US borrowing costs, leading them to cash in profits after a stellar couple of months that have seen many indexes hit record or all-time highs. Equities have enjoyed months of surges fuelled by optimism over the US economy, corporate earnings and the global outlook. But while traders have been piling into equities, pushing many global indexes to record or multi-year highs, there has been growing concern on trading floors about elevated US Treasury bond yields—at four-year highs—and the likelihood of fresh Federal Reserve interest rate rises. "The risk-off tone is hitting Bitcoin almost as hard as a global regulator and bank scrutiny," said Greg McKenna, chief market strategist at AxiTrader. "The latest dent to the Cryptospace has been banks saying they are shutting down the ability of clients to buy bitcoin with their cards." "This could end up a full round trip back into the $1,850/$2,966 region."